Camps are an integral part of Red Dead Redemption 2 Online. They’re used to change your clothes, brew coffee and generally take a break from the outlaw’s life you’ve been leading. In the singleplayer portion, they move around as the story progresses, but in RDR2 Online, you can move them yourself. You can’t place them freely, but there are around a dozen predefined camping spots you can choose from. This guide will show you how to move camp in Red Dead Online. How to move camp in RDR2 Online? If you want to move your camp, press left on the D-Pad and select camp from the free roam menu. Choose the “size and location” option, then pick the size (only small will be available at the start) and the area you want to inhabit. You’ll have to pay a moving fee, which is two dollars for the small camp. Once you’ve accepted, your camp will magically move to the new location along with all the stuff in it. As we’ve mentioned, there are around a dozen camp sites to choose from when transferring your hideout. Each area has at least one, so there’s a lot of room for finely tuning your location. The list will show you the approximate location of the camp using a tiny image, so you’ll be able to tell if it’s the right spot for you. 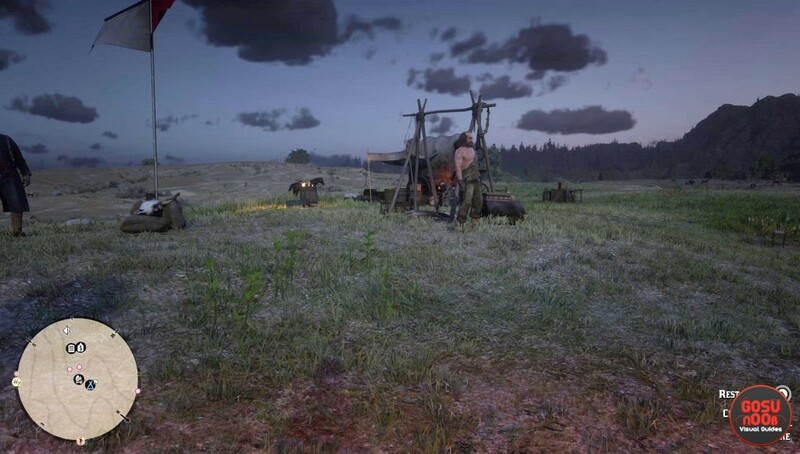 It doesn’t matter if there’s another posse’s camp in the area already, the game won’t stop you from placing your hideout in any area except the Bayou Nwa. You can move it again at any point, the game only requires you to be in free roam. This means you’re not allowed to migrate during missions and other activities, probably because of all the other people involved.